Dr. Tony Khara will be the first person to tell you that he truly loves being an orthodontist. He has a passion to learn and continuously seeks educational opportunities for he and his staff so they can deliver the best treatments for their patients. It is important for Dr. Khara to provide excellent orthodontic results using the latest technology while having a friendly and fun atmosphere. Dr. Khara treats his patients as if they are part of his family. 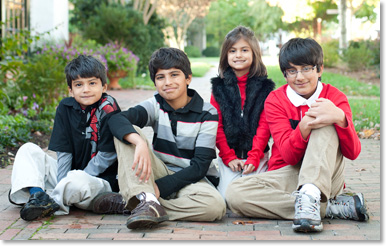 Khara Orthodontics has been providing outstanding orthodontic care since 1995. After finishing his undergraduate studies at Duquesne University, he attended the University of Pittsburgh Dental School for his dental degree. He then completed an orthodontic residency at New York University. 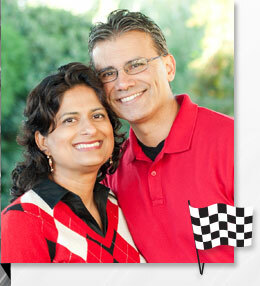 Dr. Khara maintains memberships with such professional organizations as the American Association of Orthodontists, American Dental Association, the North Carolina Dental Society, North Carolina Association of Orthodontists, the Raleigh Wake County Dental Society, and is an active member of the Seattle Study Club. He is also active in the community, volunteering and supporting local schools, boy scouts and food banks. Dr. Khara is married with four wonderful children and enjoys spending his leisure time with his family. He loves being a corny dad and loves telling corny jokes. In fact, when he was living in the Midwest, a corn stalk grew by itself in his back yard (this is a true story). We know what you are thinking right now: Fee Fi Fo Fum. He is also a Pittsburgh Steelers fan.